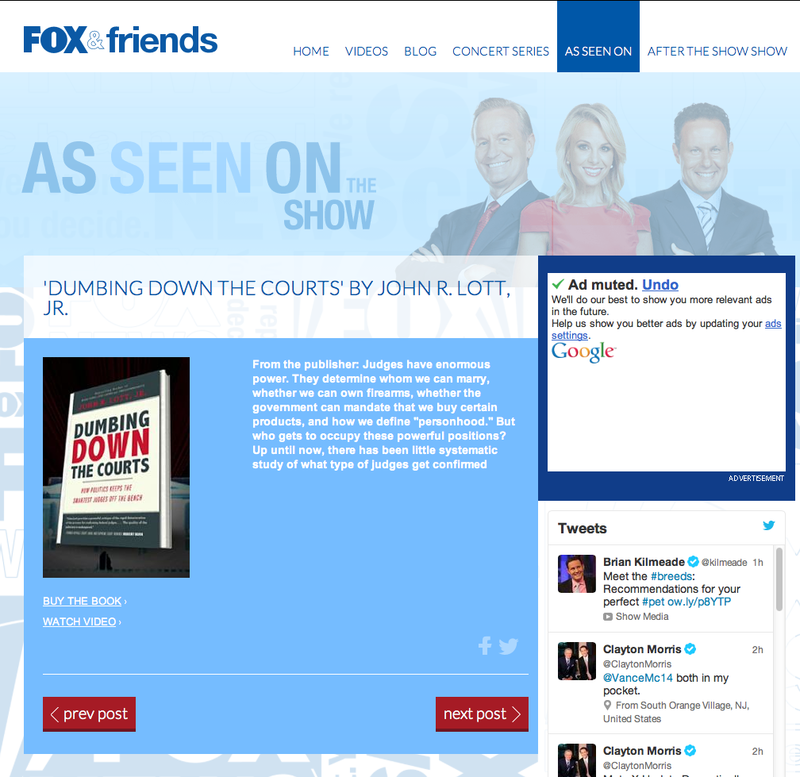 John Lott's Website: Are politics dumbing down America's courts? 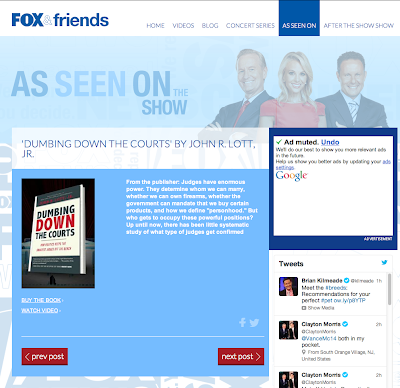 Tucker Carlson interviewed me on Fox & Friends on Saturday morning about "Dumbing Down the Courts." This is also pretty neat: "As seen on the show." I am of the belief that the dumbing down of America's Courts is a deliberate means to impose left wing ideological attacks upon our Constitution in order to obtain more control over 'We the People'.